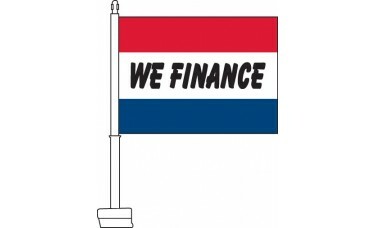 Our We Finance Car Flags feature a tri-color red, white, and blue design. 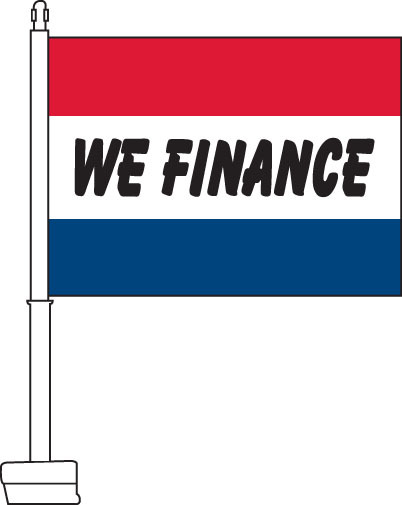 In the middle white stripe, bold black text reads "We Finance." 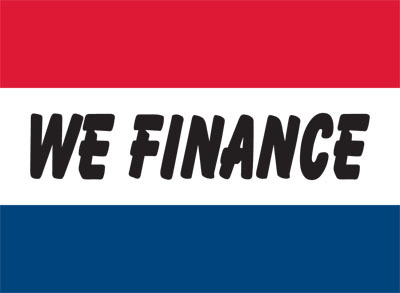 This flag is popular with used car dealerships looking to attract customers who need financing.